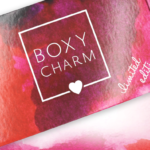 Look Fantastic Beauty Box February 2019 FULL SPOILERS! We have the full spoilers for the February 2019 Look Fantastic Beauty Box thanks to plush-koala! This box is PERFECT! The lip color and the contour kit matches beautifully! Thank you for your hard work in putting this together!!!! I received my box tonight and did not open it as I was going to give to my DIL for her birthday. Should I be concerned about the lash curler? the reviews I do see online are years old. Do you think there has been any retooling over time? Now I’m scared to give it to her…! What do you suggest…? THIS IS MY OPINION: I use the emite eyelash curler and it’s one of my favorites… I actually replaced it with the eyelash curler brand I’ve used all my life. Anyway, I do not think you should be concerned. Anyone who pinches their eyelid skin in my opinion should not be using an eyelash curler in the first place. Like, who just goes straight down HARD enough to actually cut your eyelid? Clearly not someone experienced with doing makeup or using an eyelash curler. As for cutting off your eyelashes off and/or pulling them out. I’ve not personally seen this EXCEPT for people that #1 do not clean their eyelash curler & leave sticky product on it and / or go back and re-curl their eyelashes with mascara on. I use primer and mascara and go back and re-curl my eyelashes but you have to do it gently. NOT CLAMP down on your eyelashes so you yank them out or cut them off. That in my opinion is user error. O what a boring box. Again Sleek MakeUP Face Form Palette to give away. An eyelash curling curlers that cut your eyelashes and if you’re unlucky, your skin too as I have read several reviews about it. My hair is full volume and I do not need a Philip Kingsley Maximiser. Disappointing box. LF was once one of the most beautiful, fun and surprising boxes….LF let go there again plz. please do something about the eyelash curler, there are many reports about it cutting lashes off…. The reviews on that eyelash curler is alarming. I read them on glossy boxes website and amazon. Several people say it cut their lashes off and one lost some skin. I like the look fantastic box, but I don’t think I’m going to try the curler. I do like the variety, unfortunately only the first two spoilers would be something I would use/need at this time. I just have such a huge backlog of products to get through as it is, don’t need the mascara, and my hair is already thick so I don’t need a maximizer. I’ve been hoping for some eyelash curlers to show up in one of my sub boxes though, so there is that. This box is really consistent with variety, even if each month isn’t stellar it’s a sub totally worth keeping and I LOVE the boxes for storage! Im looking forward to this box! Please, no more Sleek or doucce makeup! 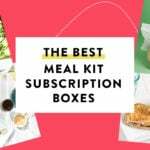 I’m not going to cut this sub only because I get it for $16/mo and I love the boxes. I know!! Doucce I’ve onlh seen in subscription boxes. They have good eyeshadows. But I’m always getting doucce in some box.